The name means light, but has been worn by some rather dark and dangerous characters. Villain week continues with Lucius as our Baby Name of the Day. The Latin lux has been popular for names over the course of millennia. There were two Etruscan kings called Lucius, along with lots of ancient Romans. It’s the praenomen of the philosopher Seneca. Along the way, the name was worn by a trio of popes over a span of one thousand years. It’s mentioned in the New Testament, too. Geoffrey of Monmouth used the name for a Roman ruler in his Historia Regum Britanniae. Arthur faces off against Lucius, and manages to defeat the Roman army. There’s no historical evidence for him, even though it may have been based on a real figure, and it may be a corruption of another name. Geoffrey of Monmouth’s work was so influential that an emperor called Lucius appears in many an Arthurian tale. 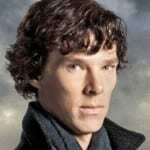 Of course, many of the memorable men called Lucius have been fictional. Harry Potter gives us a wizard, the patriarch of the wealthy, pure-blooded family, the Malfoys. Lucius and Narcissa are the parents of Draco, Harry’s arch-nemesis at Hogwarts. The Malfoys all sided with the dark wizard known as Lord Voldemort, aligning themselves with the Death Eaters. 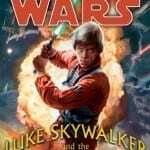 Lucius is wealthy, powerful, and arrogant, and he’s also in service to the bad guy for most of the seven-book series – first secretly, then openly as events escalate. The next famous bearer of the name isn’t exactly a villain. Empire’s Lucious Lyon is painted in shades of gray. What we do know is that he’s tremendously talented, and overcome significant odds to found his record label and turn it into a true twenty-first century empire. 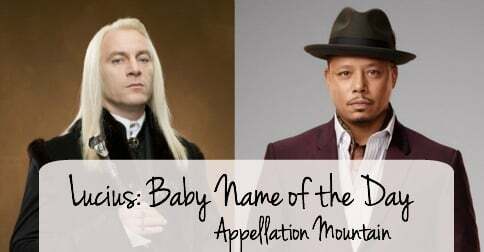 We learn during the first season that he renamed himself as a child, which is probably why he spelled it Lucious. Lucious is played by Terrence Howard – no slouch as an actor! And the storyline is no mere prime time soap. The story has shades of Shakespeare’s King Lear, and has racked up plenty of critical acclaim. So there’s Malfoy and Lyon. The first is a bad guy, the second isn’t all good. But they’re both compelling characters. Characters from The Village and The Incredibles. HBO’s Rome had a Lucius, too. And there have been plenty of men with the name through the ages. It regularly appeared in the US Top 1000 through the 1950s. Luke ranked #28 in 2014, and continues to gain. Lucas, at #18, is even more popular – and also climbing. Luca, Lucian, and Luciano are all in the US Top 1000, and all are moving up. On the girls’ side, Lucy, Lucille, and Lucia are all stylish. Meanwhile, Lucius was given to just 122 boys born in 2014. In 2013, that number was 125 boys; in 2012, 117 boys. In other words, it’s pretty flat. Is there a Harry Potter-penalty for parents who hear this name and think of the fictional Death Eater? Or is Lucius the logical successor to Atticus, a brother for Titus, Maximus, and Julius? 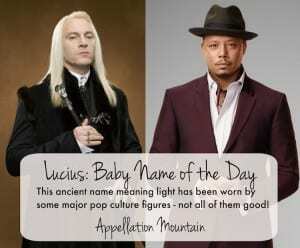 Like Maximus and Max, Lucius could easily shorten to Luc or Luke. If you love ancient names, want something with a built-in nickname, and appreciate a name with a positive meaning, Lucius is one to consider. Why do you think Lucius isn’t more popular? Is it all about Mr. Malfoy? Or do you prefer another form of Luke/Lucas? They do! Regular old Loo-shus but, uh, fancied up a bit in the spelling. Saying that Lucious Lyon is “not all good” is a bit of an understatement. Terrible people can be great characters.